Cool Chromes is a semi-regular feature that looks at slides that have recently passed through the scanner. Some restored steam locomotives have been elusive for me. While Southern Railway 2-8-2 No. 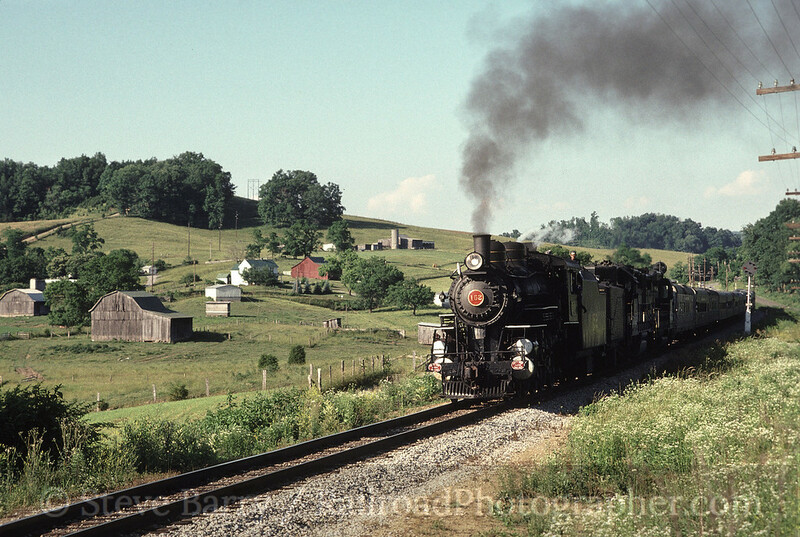 4501 was one of the most photographed and widely traveled steam locomotives of the 1970s, I only saw it once. 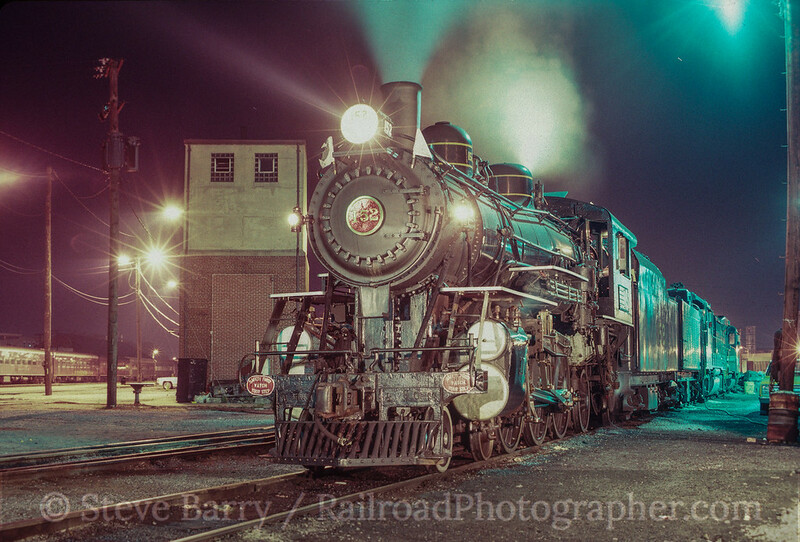 With lessons learned from steam locomotives that appeared and quickly vanished before I could see them, when I heard that Louisville & Nashville 4-6-2 No. 152 would be powering trips for Norfolk Southern out of Bristol, Va., I made plans to get down there. Louisville & Nashville No. 152 is a Jersey girl, built by the Rogers Locomotive Works in Paterson in 1905, one of 45 Pacifics purchased by the L&N from the builder. Among its reported claims to fame is it powered part of the trip that took Al Capone to Alcatraz. 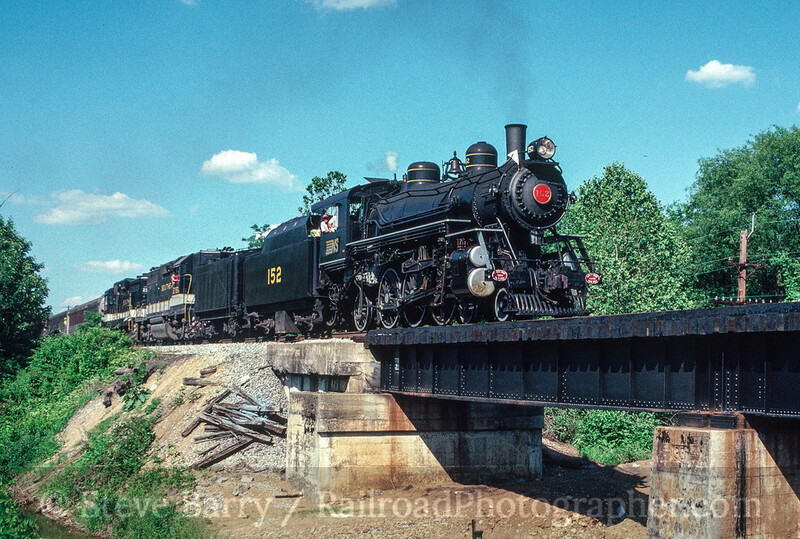 It was retired by the L&N in 1953 and donated to the Kentucky Railway Museum. It returned to service for the museum in 1985, and in June 1986 it was tapped by Norfolk Southern to power a set of trips. My brother Bruce and I headed south from New Jersey on Friday night, June 5, after work. A nearly all-night drive put us in Bristol on the Virginia-Tennessee border at about 4:00 a.m. We found No. 152 in the yard, and the night hostler was nice enough to turn on the headlight for us for a quick round of night shots. We then slept in the car until daybreak. The morning found No. 152 getting ready for the first of two weekend trips. 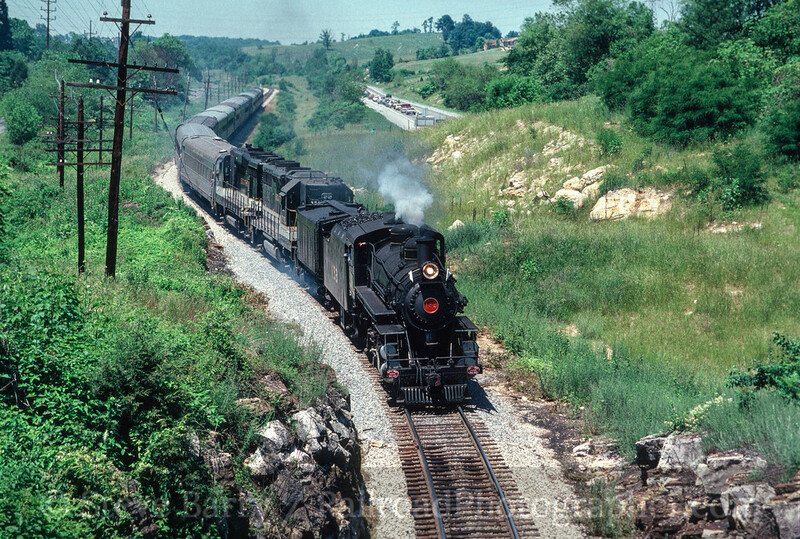 The first one would take it north on the former Norfolk & Western's Shenandoah Line, a stretch of track that was often used by O. Winston Link for his magnificent night photos from the 1950s. Much of the line roughly follows U.S. Route 11, making chasing somewhat intuitive -- a good thing in this day before GPS systems or even decent maps. Near Marion, Va., we got the classic Pacific heading north. The trip's destination was Walton, which is a railroad place deep in the woods along the New River near Radford. At Walton is a wye, which would allow the entire train to be turned for the southbound trip back to Bristol. We caught the train approaching the northern end of its trip at Dublin, just outside of Radford. On the return trip we went into the town of Rural Retreat. It was here that O. Winston Link made a classic night shot at the depot on a Christmas Eve, and recorded the sounds of a train passing through town as the church bells played hymns. Signal problems dropped the train's speed to ten miles per hour as it followed a rural road above Marion. This allowed for multiple easy shots, including a pastoral scene at Atkins. From here the train proceeded back into Bristol, unloaded its passengers, and deadheaded to Johnson City, Tenn., for the next day's run to Bull's Gap and Natural Tunnel. The following day's chase was much more challenging (it was done using a state highway map that kind of showed railroads), but we got a handful of shots. In the years since this trip, No. 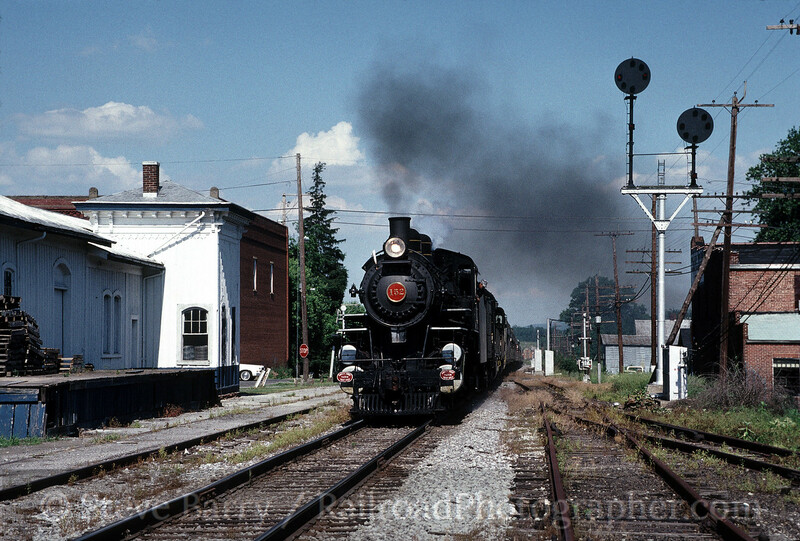 152 has been placed on the National Register of Historic Places and was named the Official State Locomotive of Kentucky. 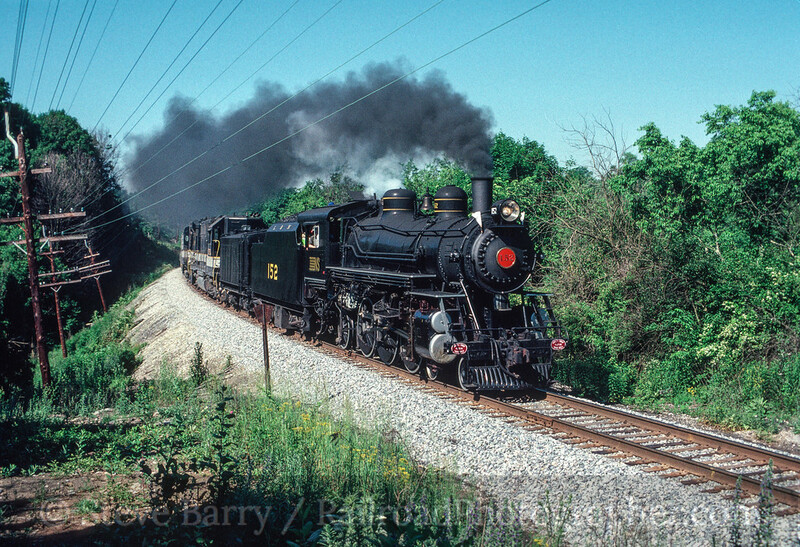 It is now the oldest surviving Pacific-type locomotive in the U.S. It was retired from service at the Kentucky Railway Museum in 2011 and faces a future that will largely be determined by the ability to raise a large amount of cash.